A method for teaching artificial intelligence analogies through crowdsourcing could allow a computer to search data for comparisons between disparate problems and solutions, highlighting important—but potentially unrecognized—underlying similarities. The method could enable A.I. to search through databases of patents, inventions, and researcher papers, identifying ideas that can be repurposed to solve new problems or create new products. As anyone who enjoyed watching TV’s MacGyver disarm a missile with a paperclip or staunch a sulfuric acid leak with a chocolate bar could tell you, analogies can provide critical insights and inspiration for problem-solving. 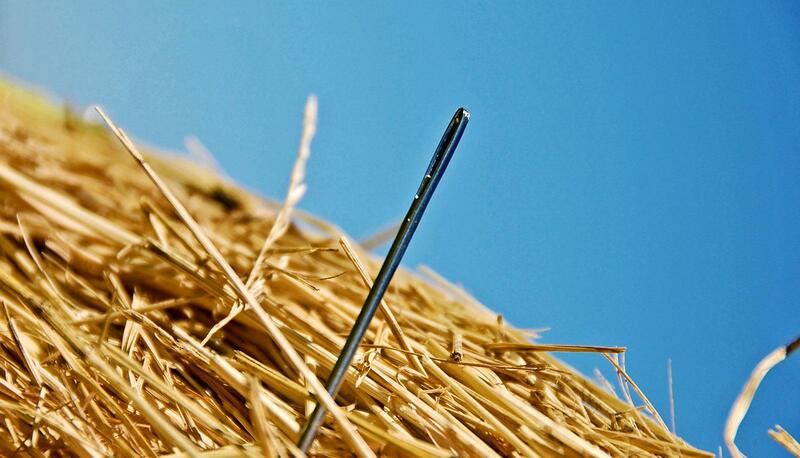 Tapping huge databases of inventions could spur innovation, but doing so without the help of analogies is, well, like finding a needle in a haystack. Computer scientists solved the analogy problem by combining crowdsourcing and a type of artificial intelligence known as deep learning. By observing how people found analogies, they obtained insights they used to train computer software to find even more analogies. “After decades of attempts, this is the first time that anyone has gained traction computationally on the analogy problem at scale,” says Aniket Kittur, associate professor in Carnegie Mellon University’s Human-Computer Interaction Institute. “Once you can search for analogies, you can really crank up the speed of innovation,” says Dafna Shahaf, a computer scientist at Hebrew University. “If you can accelerate the rate of innovation, that solves a lot of other problems downstream.” The research team will present its findings in a paper at KDD 2017, the Conference on Knowledge Discovery and Data Mining, in Halifax, Nova Scotia. Analogies have played a role in any number of discoveries. Italian microbiologist Salvador Luria conceived an experiment on bacterial mutation—which later earned him a Nobel Prize—while watching a slot machine. The Wright Brothers used insights about balance and weight acquired while building bicycles to help them achieve powered flight. A trick for removing a loose cork from a wine bottle inspired an Argentinian car mechanic to invent a device to ease difficult childbirths. Finding analogies is not always easy, particularly for computers, which do not understand things on a deep semantic level like humans do. Researchers have tried handcrafting data structures, but this approach is time consuming and expensive—not scalable for databases that can include 9 million US patents or 70 million scientific research papers. Others have tried inferring this structure from large amounts of text, but this approach identifies primarily surface similarities, not the deep understanding that is useful for problem-solving. To pursue a new approach, Kittur, who has spent years studying crowdsourcing as a means of finding analogies, joined forces with Shahaf, who has specialized in computational analogies. Along with Shahaf’s doctoral student Tom Hope and postdoctoral researcher Joel Chan, they devised a scheme in which crowd workers hired through Amazon Mechanical Turk would look for analogous products in the Quirky.com product innovation website. Based on the product descriptions, they would look for those that had similar purposes or employed similar mechanisms. “We were able to look inside these people’s brains because we forced them to show their work,” Chan explains. A description for a yogurt maker, for instance, might yield words such as “concentrate,” “food,” and “reduce,” associated with its purpose and words such as “liquid,” “pump,” and “heating” associated with its mechanism. “In terms of analogies, this isn’t about yogurt, but about concentrating things,” he notes. Based on these insights, the computer could learn to analyze additional product descriptions and identify its own analogies, many of which reflected similarities between seemingly disparate products, not simply surface similarities. When crowd workers subsequently used the analogies to suggest new products, these “distant” analogies yielded the most innovative ideas, Hope says. The same approach could be used to tailor computer programs to find analogies in patent applications or scientific research papers. The National Science Foundation supported this research, as did Bosch, Google, and Carnegie Mellon University’s Web 2020 initiative.